What inspires me? I get inspired by kindness – wherever I see it, hear about it or sense it, it just makes my heart expand and I cry tears of pure joy. I feel blessed to have been gifted my four sons … so I am also always deeply grateful. Maggie Dent has her audience in raptures as she strides across the stage, recounting hilarious tales of parenthood and sharing the practical, no-nonsense parenting advice for which she has become so revered. Though she loathes the title ‘parenting expert’, Maggie has captured the hearts of parents and teachers across the nation for her focus on building resilient kids – kids who spend their time outdoors, who get dirty, who have been given the chance to fall, fail, and recover, and therefore build the confidence that comes from learning for themselves. Maggie’s wit and talent as a speaker, educator and author make her appear a master of confidence. But she hasn’t always been this way. For Maggie battled a self-esteem so low that she once attempted to take her own life. How did she rise from despair to eventually lead a movement that is guiding the nation’s teachers and parents? Maggie keeps her audience in raptures as a speaker. 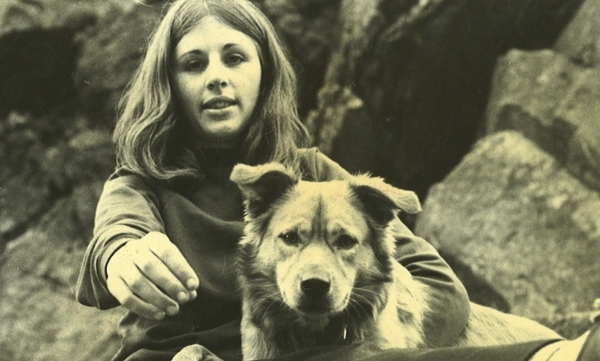 Growing up on a farm in country Western Australia, Maggie spent her time outdoors, roaming the open spaces, or tagging alongside her beloved father, enchanted by the stories he shared and influenced by his strong sense of community-mindedness, equality and social justice. She developed her own sense of justice early. She remembers standing up to her teacher as a seven year old, her fists scrunched in anger as she berated the teacher for shouting at a fellow student and making her cry. Maggie spent the rest of the class sitting under the teacher’s desk as punishment. She hung out with the Aboriginal kids whose parents worked on her family farm. She argued with her mother. She played with her five siblings. She did farm jobs. She helped her dad with agricultural science – thinking nothing of helping with tasks like measuring the scrotums of rams. Growing up on the family farm. Despite this robust childhood, by the time Maggie reached her teenage years she felt her self-esteem falter. Her bum was too big. She wasn’t into partying. She’d prefer to stay at home than socialise. She consoled herself that at least she was good at school. She was smart, she earned good grades. “School was my mask that I was ok,” Maggie says. She relied so heavily on this mask that, when she failed a politics essay at university, she unravelled. “It was like something shattered in my mind,” Maggie says. “I had pegged my hat on this thing that I was going to be clever and when that mask cracked I thought ‘oh my god I have nothing … there’s no point living’,” Maggie says. The experience made Maggie realise the fragility of the teenage mind – just one failure and a life was at risk. It made her determined to do what she could to prevent others from making the mistake that had so nearly cost her life. So Maggie became a teacher. One day she found herself overwhelmed and fed up, with her hand raised to smack her two-year-old son. She stopped and realised she wasn’t being the parent she wanted to be. She questioned where the anger had come from. And she went on to launch a deep and long-lasting personal inquiry into her own childhood and why she’d become the person she had become. This inquiry would help Maggie realise she’d made up ‘stories’ about herself that were not real. She realised she had the capacity to design her character and her life in the way she’d like – something she encouraged other women to do by going on to lead women’s retreats. When Maggie’s third boy was 14 months old, she had a near-death experience which would shape the way she would go on to parent. 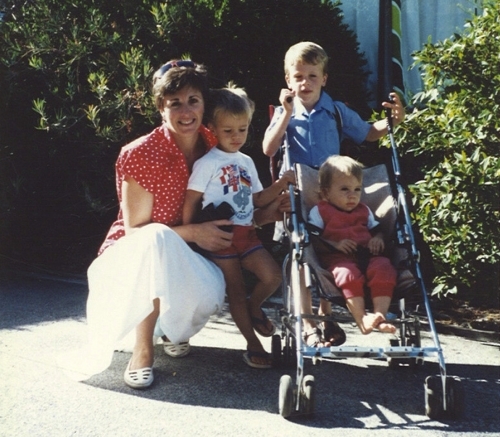 It was Christmas day and her three boys were home with chickenpox, or ‘chicken pops’ as they called it, and Maggie was watering the lawn when she felt blood trickling down her legs. 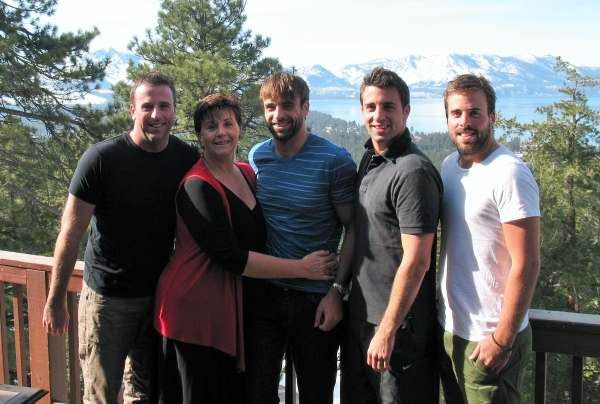 Maggie with three of her four sons. Maggie cemented the realisation that suffering is an important part of the rich tapestry of human life in her work as a celebrant for funerals. Again she saw the value in allowing people to feel their pain, in being real, in holding a safe space for people who are suffering. 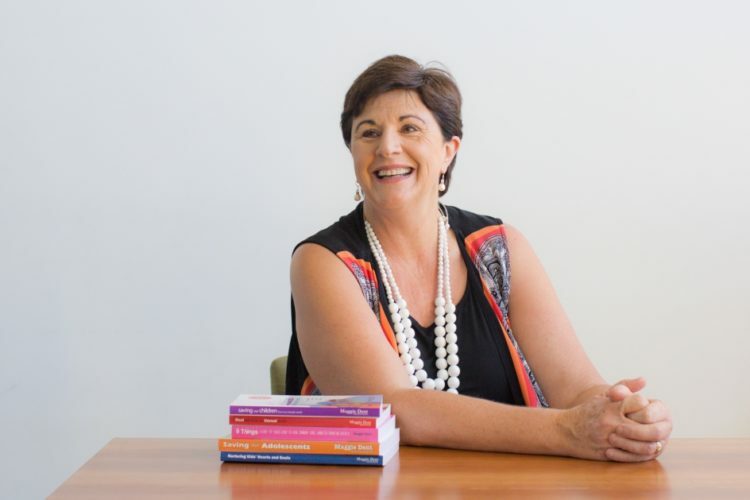 And the skills she learned as a celebrant held her in good stead when she returned to teaching, where kids sought her out when they wanted to “talk about the big stuff”. “I realised anyone can teach how to write paragraphs but no­t everyone can help a young teen w­ho wants to die,” she says. 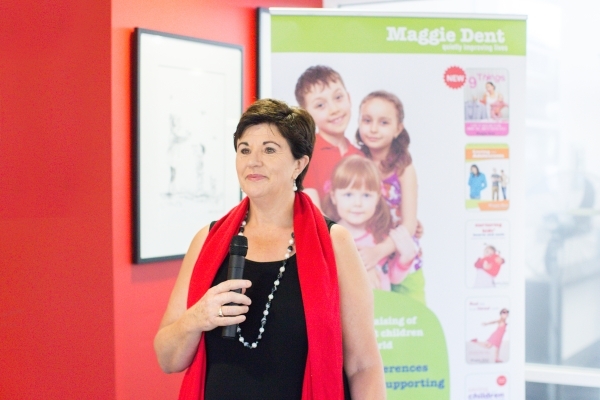 So Maggie embarked on a post graduate diploma in counselling and ended up leaving teaching to counsel kids fulltime. She saw the value in allowing people to feel their pain, in being real. As a counsellor Maggie started to notice a new trend in children – stress. She held a seminar for parents to help them to guide their stressed out kids. The talk was a hit and almost accidently Maggie fell into a role that would see her go onto deliver parenting and teaching seminars across the nation and author six parenting books. But she believes perhaps her greatest role is helping parents realise they are normal. Maggie with her four sons.